Raspberry ketone products are all the rage these days so Lineaslim are vying for a place in an already crowded market. But some of the products presently available tend to offer more in the way of hype than they do in the way of results and Lineaslim brand owners, Apex Business Development, has a reputation for producing effective products so the company’s raspberry ketone capsules may compare well to some of the better products on the market. Let’s take a look at what they say about their product. Well, there’s nothing too outrageous there. Raspberry ketone is certainly a natural ingredient, it’s generally considered to be safe to use, and many dieters who have used raspberry ketone products—including the former Emmerdale Farm star, Roxanne Pallet—state the ingredient has proved to be an effective aid to body fat reduction. No unsupported flashy promises—so far things are looking good. Each capsule contains 250mg of raspberry ketone —and that’s it. There are no binders or fillers. The recommended dose is one capsule a day. Tests have shown that raspberry ketone supplements need to provide between 100mg and 300mg a day in order to provide successful weight loss results, so the amount offered here should be more than adequate. Raspberry ketone is a phenolic compound found in several fruits including blackberries and cranberries, but is more commonly sourced from raspberries. How does Raspberry Ketone Provide Weight Loss? 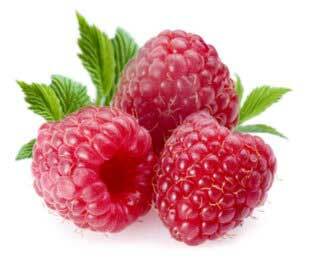 Raspberry Ketone’s main value (as pertains to weight loss) is as a fat burner. Fat burners assist weight loss by encouraging the body to burn off existing stores of body fat. Users of effective fat burning products often experience boosted levels of energy due to the availability of the extra calories released by the fat burning process. A study conducted in Korea revealed raspberry ketone supplements can boost secretion of the adiponectin hormone and regulate the process of fats and sugars. In another study, conducted in 1995, mice were fed a high fat diet that should have resulted in some very chubby rodents, but the mice also received regular supplements of raspberry ketone and failed to gain the expected pounds. Despite the promising results attained in some studies, raspberry ketone remained an unheard of ingredient in weight loss circles. Then the American TV show host and slimming guru, Dr. Oz, learned of the tests and became the ingredient’s new champion when he stood in front of his audience and called raspberry ketone a miracle in a bottle. No customer feedback could be found at the time of this review. Products containing raspberry ketone are unlikely to cause side effects, but the manufacturers advise pregnant and nursing mothers to seek medical advice before commencing supplementation. They make the same recommendation to potential users who have existing health issues. Note: Lineaslim Raspberry Ketone capsules are not suitable for vegetarian use because the capsule casing contains gelatin. A money back guarantee appears to be available, but the term is not specified. Raspberry Ketone is a natural ingredient that shows a lot of promise as a fat burner and weight loss aid, and any product—such as this one—that relies on the ingredient completely should be an especially valuable weight loss option for anyone who cannot face the jitters and other side effects that are so often the norm with so many other (stimulant-laden) supplements. The manufacturers make no secret of their inclusion rates and the capsules should provide a sufficient amount of raspberry ketone to produce the promised results. All of this works in the products favor, as does the price—which is reasonable. The product is produced by a reputable company and a money back guarantee is on place. What’s not to love? Lineaslim Raspberry Ketone can only be a recommended weight loss product. The easiest option is to buy Lineaslim Raspberry Ketone from the Lineaslim website, and US-based customers can expect to pay $24.99 for a bottle of 60 capsules. The product is also available from some retail outlets.